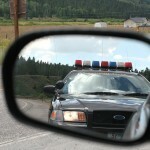 You do not want to face a DUI charge in California. The legal penalties are harsh. If you’re convicted, you’ll lose your license for at least a few months. If you’re convicted of DWI a second time in California, you’ll probably serve jail time. The system is designed to deter offenders from becoming repeat offenders, so the punishment for each subsequent offense is incrementally more severe. If you’re facing a DUI charge in southern California, you’ll need to obtain legal help and speak to an experienced Orange County DWI defense lawyer right away. Driving under the influence (or “while intoxicated”) is illegal in every state, but the precise details of the laws and punishments differ from state to state. What happens, for instance, if you have a California DWI first-conviction and at some later point you are charged with DUI in another state? Is it considered a first or second offense? Will you go to jail? Frankly, it depends, and there’s no single answer. States are free to deal with prior DUIs from other states as they choose. The court systems in most states are backlogged, and most prosecutors simply don’t have the time to research every defendant’s background extensively. The problem is that you can’t know until you’re actually charged. In some cases your prior California DWI may be considered, and jail time might become a real possibility. 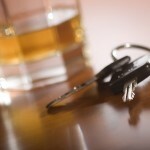 Obviously, the best strategy – especially if you have a prior DWI conviction – is to avoid drinking and driving entirely. If you anticipate driving, don’t drink, and if you drink, call a cab or find some other way to avoid getting behind the wheel. If you face a DWI charge in southern California – whether it’s a first offense or a subsequent DUI charge – get the legal help you need and call an experienced Orange County DWI defense lawyer immediately.